Information on the Ajanta & Ellora caves including visitors' timings and the sights you'll see on this spiritual journey through India's ancient heritage. Aurangabad, in the state of Maharashtra is well connected from Mumbai by road (6 hrs), train (7 hrs) and air (1 hr). There are daily flights from Delhi as well. The caves are a fascinating study of three different faiths- Hinduism, Buddhism and Jainism and all three are represented in the exquisite shrines and rock carvings. The caves are also of great interest to the Buddhist scholars and a spiritual and cultural experience for all tourists. Early in the 19th century a party of British officers on a hunting expedition discovered these caves buried under debris and screened by foliage. Strung out in a sweeping horseshoe shape in an inner fold of the Sahyadri hills, the caves were a secluded retreat for Buddhist monastic orders and yet offered easy access to the trade routes that swung past here to the coast. 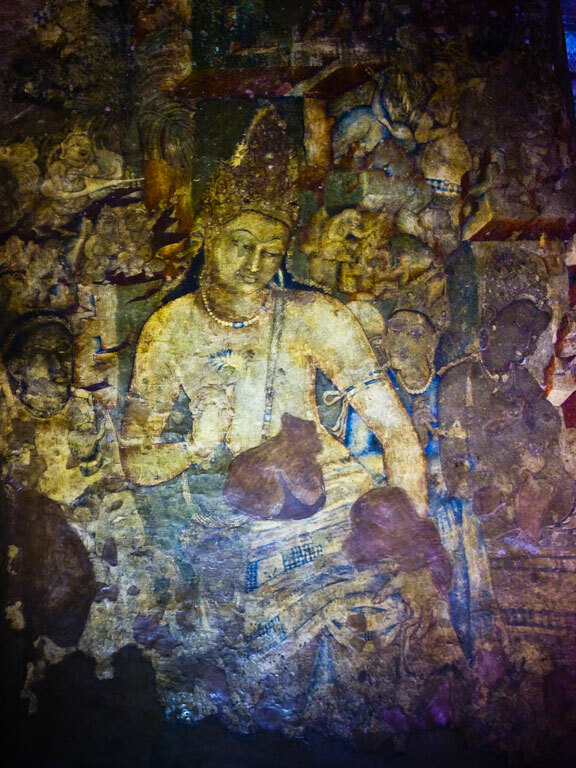 The 30 caves of Ajanta, some unfinished, span a period of 800 years and contain numerous images of Buddha. The sculptures in cave 26 are elaborate and beautiful: highlights here are the panel of the temptation of Buddha and the Parinirvana depicting the breaking of earthly ties and Buddha's passing into nirvana- a wonderful recumbent figure amid people in attitudes of mourning and sorrow. The murals at Ajanta are arguably some of the most wonderful surviving examples of Indian painting. 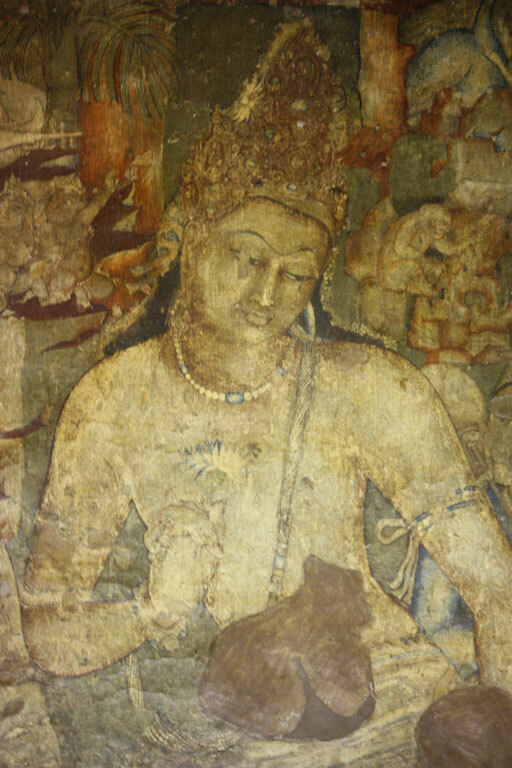 The Ajanta caves are also important to Buddhist scholars because one can see the fine line of transfer between the Hinayana and the Mahayana sect. The Hinayana did not worship any god or goddess but they used stupas, and other rock forms to represent Buddha. The Mahayana on the other hand, used idols of people they worshipped. The caves include both chaityas (prayer halls) and viharas (monasteries) and have the architecture, paintings and scriptures of both sects. Caves numbered 8, 9, 10, 12, 13 and 15 are of the older sect, Hinayana. Mahayana related caves are numbered 1, 2, 16, 17, 19 and 26, where 19 and 26 are chaityas. The caves are 100 kilometers from the city of Aurangabad by the river Waghora, in the midst of the Sahyadri hills. They are open from 09:00 am to about 05:30 pm and are closed on Mondays. 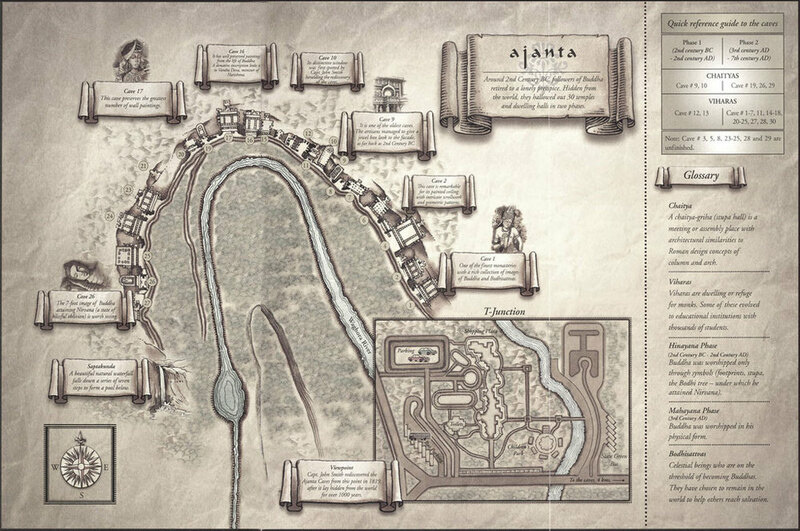 Ellora has 34 caves built between the 5th and 10th centuries. The architecture here is as awe-inspiring as is the artwork at the Ajanta caves. And what's even more mind-blowing is the fact that all of these rock-cut sculptures have been done by hand. Ellora is a symbol of a high level of religious harmony prevalent in ancient India; it also points towards the common thread running through Hinduism, Buddhism and Jainism. The 12 Buddhist caves depict Lord Buddha in various poses. The 17 Hindu caves contain carvings of the Hindu gods- Shiva, Vishnu, Durga, Parvati and others. 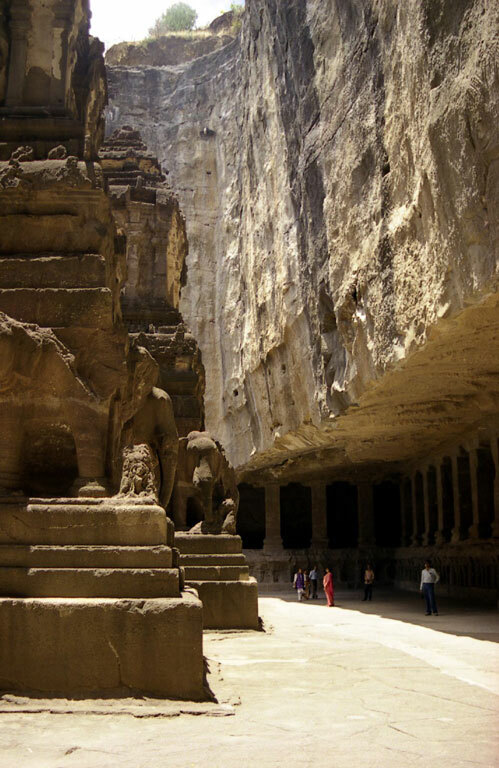 Cave 16 is the Kailashnath, carved out of a single rock, covering an area twice the size of the Parthenon in Athens. 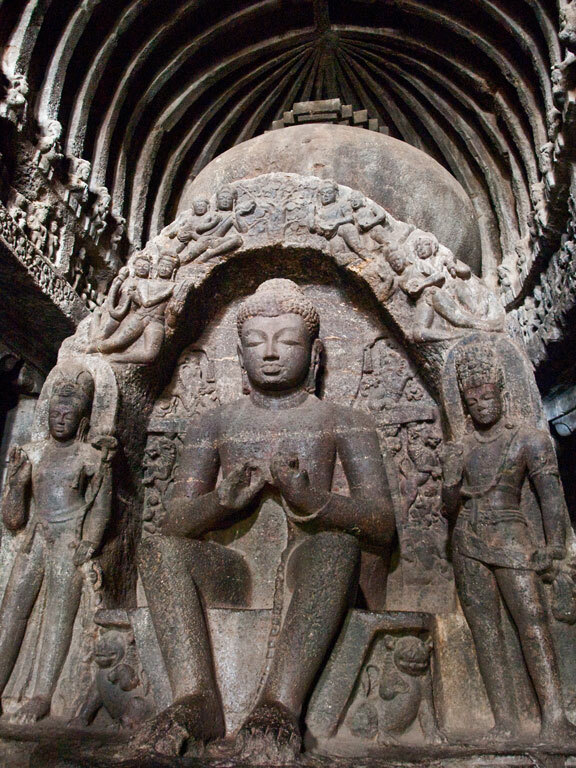 The 5 Jain caves include figures of the Jain saints and have very intricate detailing. 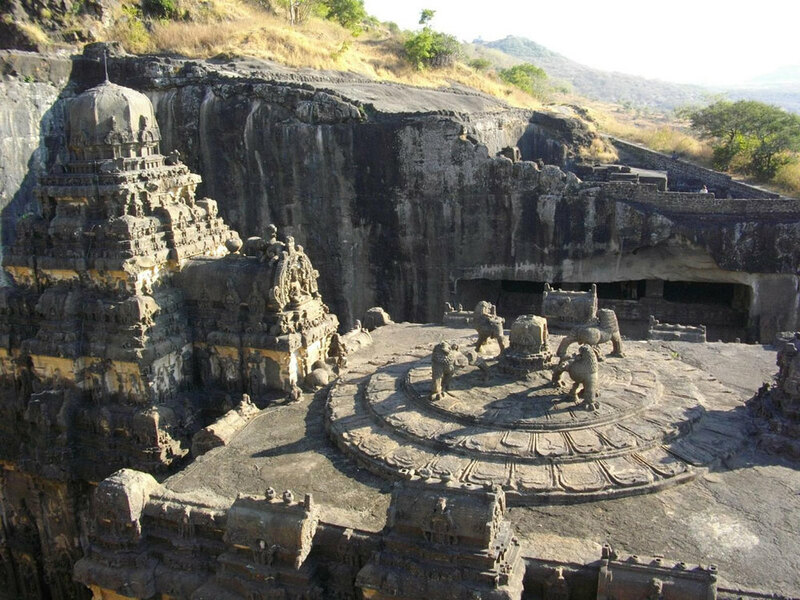 The Ellora complex is about 30 km from Aurangabad. Open from 09:00 am to about 05:30 pm and closed on Tuesdays.